When I first came to Grand Valley State University, I was really excited. I loved the campus and everyone was very friendly and helpful. I liked that because I considered myself to be a friendly person as well. But After going to Grand Valley State University for six months everything started to change. Shortly before the close of the semester, Provost Gayle Davis announced her office would for the first time in the history of the university cap the number of sabbaticals. The editorial in the December 5 Lanthorn (“No More Billboards”) is a kick in the teeth to generations of donors who built Grand Valley State University. My name is Shae Spencer, and I am a Senior in my last semester at Grand Valley in the Film and Video program. The recent exchange between the editors of the Lanthorn and Karen Loth, Vice President for University Development, and Matthew McLogan, Vice President for University Relations (Letter to the Editor, Dec. 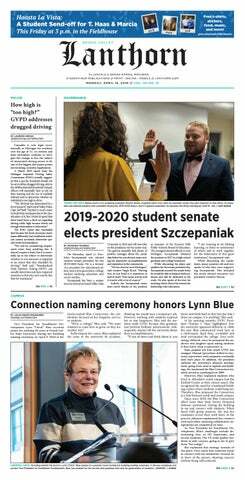 I wish to take advantage of the invitation in Lizzy Balboa’s column in Monday’s LANTHORN and respond to the discussion regarding naming rights of large donors to GVSU and the role of free speech and critical thinking in the GVSU community.